It's hard to keep track of the Kardashian clan when there are so many spinoffs of its original Keeping Up With the Kardashians reality show, but someone's gotta do it. Kourtney and Khloe Take the Hamptons is the fifth offshoot of the popular E! reality series, featuring sisters Kourtney and Khloe Kardashian's adventures while opening up a Dash store in the posh Long Island, N.Y. area. But don't worry, Kim and family matriarch Kris Jenner will make some appearances in the Hamptons, too. While it's not clear whether we'll see Kris' divorce from Bruce Jenner on Kourtney and Khloe Take the Hamptons, the show's trailer features Kris on looking for a new guy. Kris and Bruce Jenner were married for 23 years before legally separating in June 2013 and filing divorce papers last month. The split has been amicable so far and Bruce has said that the couple is simply happier living separately. Last summer, Kris spent some time with her daughters in New York filming the show — and being very ready to move on from her Olympian soon-to-be ex-hubby. Depending on the timing of the show's filming, we could see mentions of divorce decisions and paperwork by the end of the 12-episode season. The big questions in the trailer for Kourtney and Khloe Take the Hamptons seem to be: Is Kris dating anyone — and who could it be? Let's take some wild guesses as to who could be Kris Jenner's new Hamptons lover. In the official trailer, Kourtney and Khloe immediately grill this new cooking cutie about his single status, but it's Kris who takes him to bed — literally. "That would be such a bonus if you had a chef for a boyfriend," Kris says while in the kitchen, ogling the young man. Then the trailer cuts to Kris under the sheets with the cook, wearing a sailor's hat and I'm not sure what else. Momma Kardashian works fast — but will it last? Could Kim's bestie be interested in Kris? The PR guru asks Khloe about Kris' relationship status in the trailer, but Khloe thinks he might be their tabloid leak. Although it might be a little creepy and icky to date your BFF's mom, but hey — if it's love, it's love. Perhaps the newly single Cheban could've been inquiring because he was interested in Kris. The Millionaire Matchmaker alum broke up with girlfriend Anat Popovsky in April. Earlier this year, Kris and Cheban were spotted wine-tasting and having dinner at Nobu in Los Angeles. It's him, Todd Kraines! On KUWTK, Kourtney, Kim, and Khloe originally had Scott Disick prank call their mom pretending to be Kraines, a longtime friend of the family. Soon, the prank extended to "Todd" sending Kris flowers, drinks, and offering her ski trips, before the Kardashian daughters reached out to the real Todd Kraines. And as it turns out, he's actually a hot guy who works in luxury real estate. Although, they've taken several Instagram photos together and would make a cute pair, they're probably just friends and according to Kris' photo caption, almost like family. 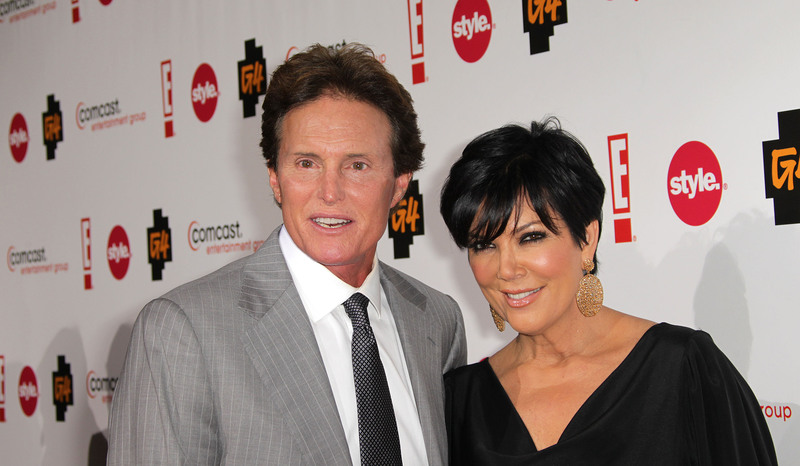 But no matter who Kris' new man happens to be, he'll have a lot to live up to in comparison to Bruce.